Highly regarded for his unique ability to present complex information in an understandable, digestible and energizing manner” that stays with his audiences long afterwards, Javier presents in English & Spanish to business, non-profit and educational audiences on future trends, emerging technologies, and subconscious persuasion techniques to increase sales, profits and brand recognition. Javier brings his expertise to the persuasion and business fields through HypnoticSales.co.uk delivering online and in-house training on the most effective techniques to influence and connect directly with prospects' subconscious minds during personal meetings, online presence and in print materials. He has also given presentations on technology and future trends, and their impact on society and business. Javier is well known for his willingness to work with clients in advance of his presentations in order to deliver tailored remarks that will inform, educate, entertain and inspire their audiences. In a world of niche specialists, Javier Marti is an innovative professional with a unique ability to combine his expertise in the fields of Technology, Psychology and Business. Through engaging, information-packed seminars and presentations Javier trains companies and individuals in the use of simple, yet sophisticated techniques aimed at increasing sales and profits by helping them to understand, connect with and influence their prospects more effectively. As a subconscious behaviorist and certified Hypnotherapist, Javier also assists groups and individuals to explore their full potential and understand the workings of their subconscious mind, that very important part of our minds that drives our desires, emotions and motivations. 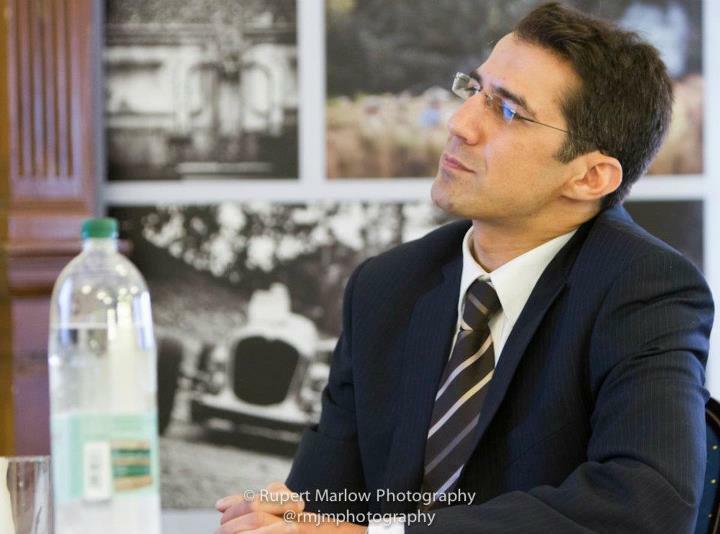 As a graduate of the most reputable Hypnotherapy school in the world, the Hypnosis Motivation Institute, Javier is a certified Hypnotherapist and founder of SunshineHypnosis.co.uk, one of the fastest-growing Hypnotherapy organizations in the UK. Javier is an expert in all things related to the subconscious mind including how we learn, understanding how we feel, successfully adapting to change and learning to live a happier, healthier life. Javier's experience and depth of understanding in the field of relationships has led to the creation of HelloMrRight.com, a special workshop to help women to identify and attract the "right men into their lives", as well as increasing the chances of happiness in their current relationships. Javier’s presentations on The Future Of Business are tailored to your needs. They may include topics such as the advent of community-driven platforms, marketing virality, social networks business integration, online dating opportunities, virtual worlds, the “gamification” of business and many other key trends. Access to this information greatly enhances the ability of leaders and business managers to make better decisions today, through a more precise understanding of future opportunities. Why do businesses need to listen to a futurist? In the highly-specialized society we live in, it is easier than ever to lose sight of the “big picture”. Managing the day-to-day, managers and key decisions makers overlook important pieces of information that in turn makes them more prone to take the wrong decisions, at the wrong time. Former market leaders like Nokia, Blackberry, Kodak and Blockbuster lost their leading positions due to a poor understanding of future trends, and this is not surprising: the amount of information that business managers have to process every day to stay on top of current developments is staggering, and has kept on growing exponentially in the last few years. Furthermore, new sources of information and the integration between technology and business processes are leaving key decisions makers further behind in the information highway. Javier’s job is to look at the big picture of your industry, analyze the connection between different facts and trends that affect your business, and deliver information-packed, highly visual presentations that will keep you, and your key decisions makers, ahead of the key trends that are shaping your world today -before others get to this information and drive you out of business. As a result of the research for his book “Mobile, Domains and the future” and his extensive work in the area of Internet events and opportunities, Javier currently offers seminars and presentations on the advent of digital currencies and the future of money, specializing in the Bitcoin currency. Javier is also the founder of BitcoinGlobalInvestments.com, specializing in providing consulting and informational services to investors, startups and the general public coming into the Bitcoin space. Libby talks with speaker, trainer & author Javier Marti, bitcoin & crypto currency enthusiast Edward Blake and getoutofdebtfree.org founder Jon Witterick all about Bitcoin. What is it? How does it work? And everything else you might need to know about this internet currency. As a result of the research on his book "Mobile, Domains and the future" and his extensive work in the area of Internet events and opportunities, Javier currently offers seminars and presentations on the advent of digital currencies and the future of money, specializing in the Bitcoin currency. Javier is also the founder of BitcoinGlobalInvestments.com, first consulting company dedicated to the world of Bitcoin, specializing in providing consulting and informational services to investors, startups and the general public. Javier's thought-provoking and informative talks answer many of the most common questions about Bitcoin, including extremely valuable insight on the future of Bitcoin as an investment vehicle. Many individuals and organizations today have a skewed or incomplete vision of the BTC currency. What is it all about? Cash, bank transfers, credit card, Paypal, local or international exchanges...the methods to invest into Bitcoin are seemingly confusing. What is the best method? Should my business accept Bitcoin? Adapting systems, calculating chargebacks, commissions, fees, disruption to established customer service procedures...there are advantages for merchants offering Bitcoin as a payment option, but is it right for you? Will Bitcoin be here tomorrow? Is this a totally speculative investment, or is Bitcoin here to stay? Investing directly or indirectly. Holding coins, buying BTC shares...what's the best way to take advantage of this trend? If Bitcoin is a bubble, what would prevent it from blowing? If it is going to blow, when will it happen? Will Bitcoin be made illegal? There are powerful interests that will work against the implementation of Bitcoin as a method of payment. Governments may take action against a rapidly growing digital currency. Will it happen? Why? How? When? Depending on who you believe, Bitcoin is a disaster waiting to happen, or Bitcoin is the most important technology since the invention of the Internet itself. How can we make sense of these confusing opinions? The Bitcion currency has seen great increases in value in a relatively short period of time. It has also been affected by great volatility as increasing demand and technical difficulties slow down its adoption and harm its credibility. At the same time, many investors have seen dramatic increases in the value of their initial investment. Could you take advantage of these same forces that are helping others to make money? How to time the market? What are the buy and sell signals related to the Bitcoin market? What current or future events will affect the valuation of Bitcoins? Is there a way to time the market? Should you attempt it? What are the risks and opportunities associated with timing the Bitcoin market? If you have already invested in Bitcoin, is this a good time to sell? When should you sell Bitcoin for maximum profits? "A lot of speakers focus on explaining either the tech or the practical application, but he does a pretty good job of combining them"
Research for success. Is your business idea a sound one? How to extract the maximum value from the web for your business? There is no point in setting up a business if nobody will buy your product or service, for this will only lead to disappointment and financial loss. As the author of Trendinews.com and a seasoned strategist, Javier will teach you how to find out about future trends, the products and services that will be in the highest demand in the coming years, and how you can benefit from these trends to make your business a success from the very start. Sooner rather than later, all entrepreneurs face challenges that will make them question their idea, doubt their motivation, and face issues that must necessarily be overcome in order to succeed in business and in life. Based on his experience as a therapist and business owner, in this presentation Javier offers tips and strategies to deal with stress, depression, procrastination, anxiety and uncertainty about the future. You will also get advice on how to boost your motivation to go out there and sell your product, becoming an effective negotiator, and much more. This presentation will also offer a glimpse on how technology can help new and seasoned entrepreneurs to make the most out of their resources to ensure both, short and long term success of their project. One of the most important aspects of business success is to be able to persuade others to help you do what you want to do, join your partnership offers, extract maximum value of your promotions and negotiate best terms with suppliers, clients and key partners. Javier will help you to learn how to do just that...maximizing your chances of getting the best deal out of every negotiation opportunity, and creating win-win situations so that everyone benefits, helping you you increase both your profits, and your reputation. How would you set up a mobile office so that everything runs anytime, from anywhere? How to automate tasks so that "everything runs on autopilot"? How to find and use free tools that will let you do the same as tools that are expensive and limited? What are the pros and cons of different choices when it comes to applying technology effectively in your business? In this entertaining and information-filled presentation Javier will share with you the answers to these and many other questions. Let your business work more for you today, so you can start working less! Learn the real-life strategies to make your business profitable from day one. 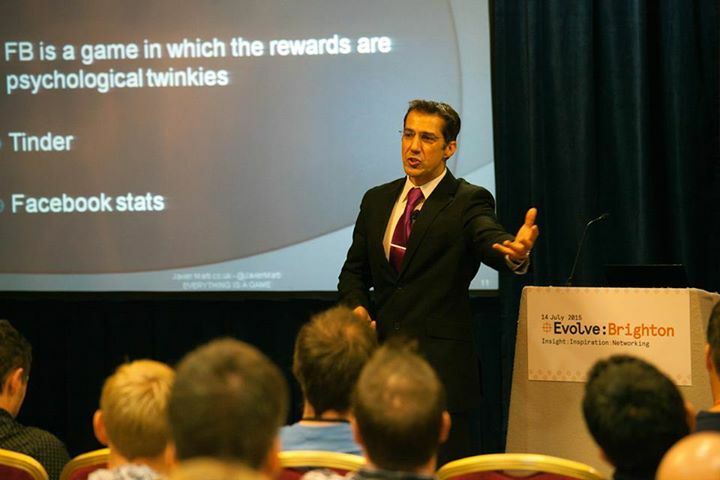 Javier will share with you tips and techniques on what works and what does not, how to plan for the long-term extracting the maximum value out of the business in the short term, what really is important in social media and what is not, and many more bits of information that will help you save time, money and energy as you set out to make your business a success from day one! Learn what are the main "thieves of time", how to re-focus once you get off-track, the magic words you can say to yourself to make your life easier, how to make little lifestyle changes so that you can make the best use of every opportunity in a timely fashion, and how to save time in every area of the business so that you can focus on what's important and leave for later what is not. With years of experience as a focused and successful business owner, Javier can help you make the best use of your time in and out of work, so that you can live life to the full...and succeed in business! From cassette tapes, floppy disks and the first IBM computer to the advent of intergalactic flight, the world has changed in dramatic ways in the last few decades, and Javier has been exposed to it all as it happened -whilst living in four different countries and meeting thousands of people along the way. Javier’s exciting presentations on future trends help audiences to understand how we got here, where we are -as individuals and as a society- and what is most likely to happen as we go forward in time. Using multimedia slides, videos, and bringing our attention to case studies and examples from several industries and countries around the world, Javier is able to clearly show the hidden connections between key moments of our recent history, the personalities making it happen, and their impact in the interconnected systems that shape our world today. Events that changed the course of human destiny like the industrial and automobile revolution, the advent of mass production and the urbanization of suburbia, the computer revolution leading to the Internet and the mobile revolution…all of these topics and many others are explained by Javier in an inspiring and unique way that both informs and energizes audiences around the world. As a a renowned futurist, consultant and business speaker, Javier can help you take better decisions, based on better information. His book “Mobile, Domains & The Future” can help also help your organization stay ahead by taking advantage of the new and exciting opportunities that the mobile world offers.